Every year the kids and I have a special back-to-school shopping day. I print their supply lists and give each kid a clipboard and pencil to take to the store. They spend hours making sure they have every single thing on their list. 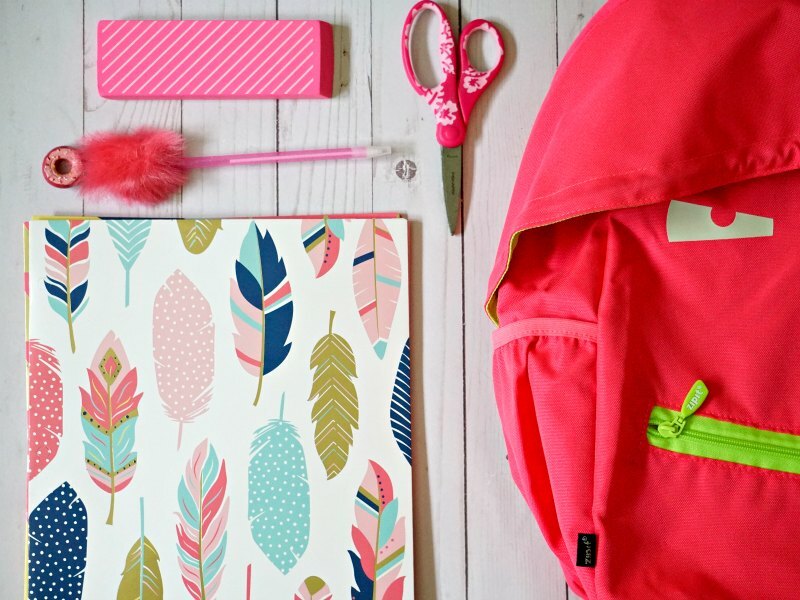 They choose special folders and notebooks and pencil pouches and scissors. Yet for some reason, as school was ending last year and everything felt hectic and crazy, I signed up to buy all of the kids’ school supplies through our district PTO. On the first day of school, their supplies are waiting for them on their desks. I thought it would make our lives easier. 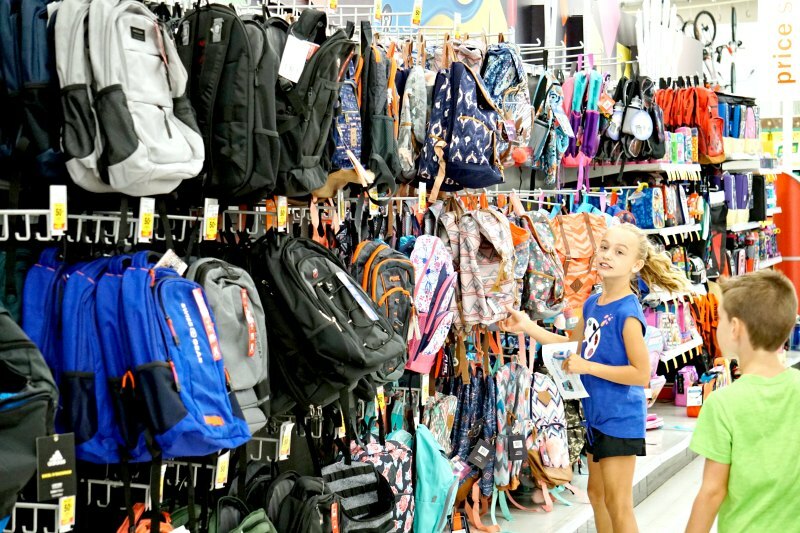 Turns out, I wasn’t the only one that loved our back-to-school shopping tradition. The kids were downright upset when they learned that I had ordered their supplies, and that we wouldn’t be having our special day of shopping. My “Fail” Turned into a Win! 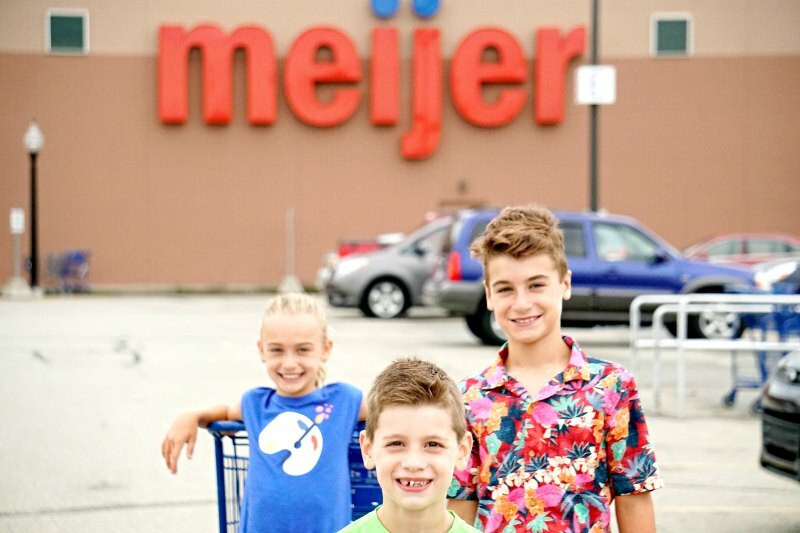 In an effort to resurrect our shopping tradition, without loading up on school supplies that we didn’t need, we headed to Meijer to buy school supplies for kids in need. Growing up in Michigan, Meijer feels like home to me. In my small hometown, Meijer was THE hangout place. It’s where we did our banking and got our haircuts. It’s where my mom bought me my first bra, and (of course) where we did all grocery shopping. 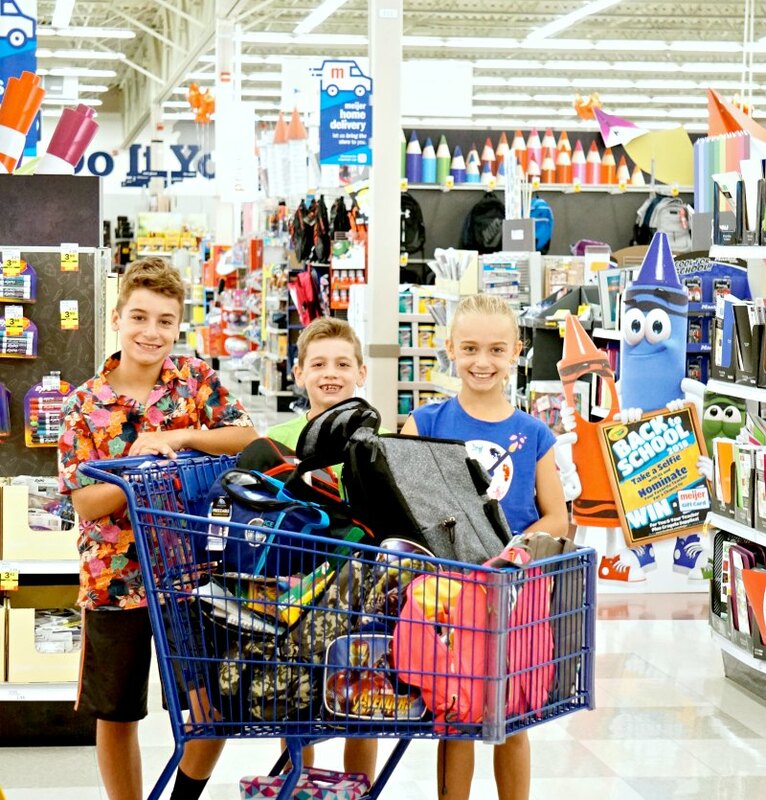 With lists in hand, each of my three kids got to go back-to-school shopping for two kids in need. 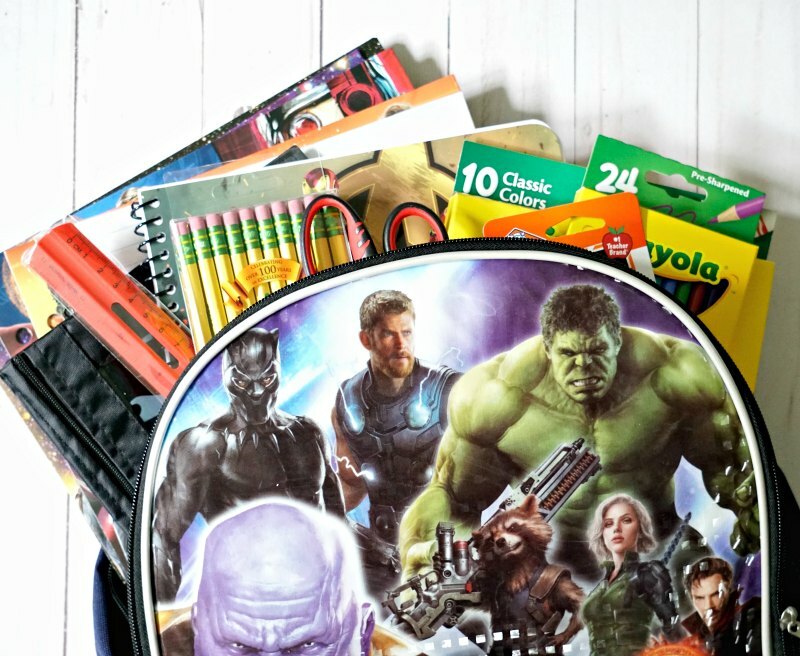 Their lists included backpacks, folders, notebooks and all of the supplies that child would need for a successful school year. 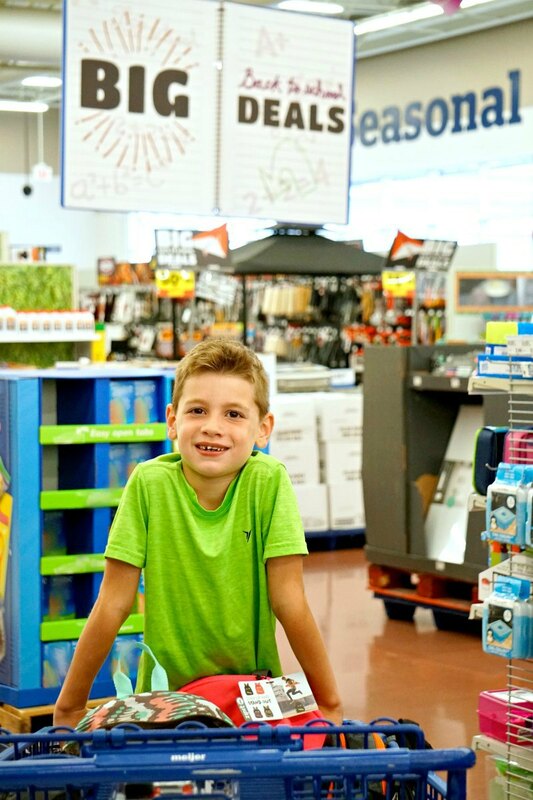 Click here to see the amazing selection of back-to-school supplies available at Meijer. The kids agreed that the hardest decision was choosing the right backpacks. I think we were all surprised at the huge variety of choices. Alice shopped for two girls in elementary school. Simon shopped for two boys in primary school. 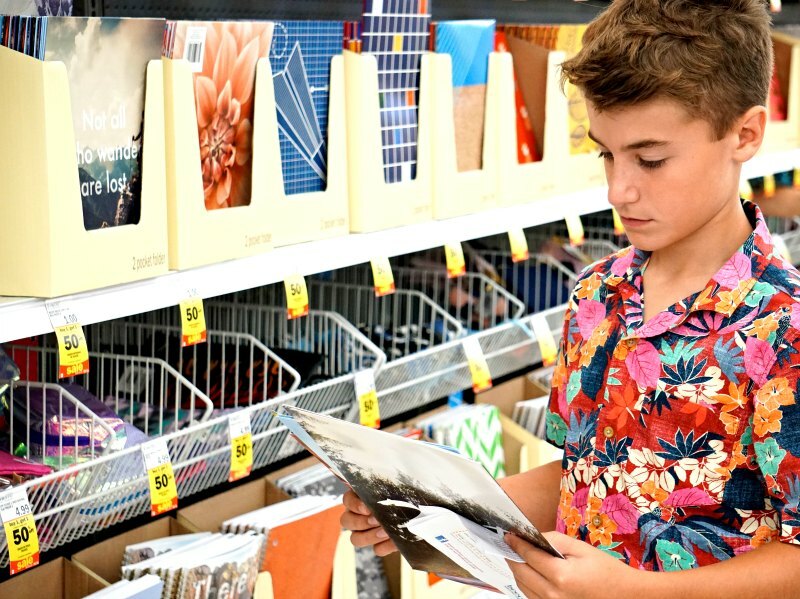 And even though Miles is still in elementary school, he did his best to shop for kids in middle school and tried to make choices that would appeal to boys or girls. Folders and Notebooks, Oh My! After they finally chose their backpacks, we moved onto folders and notebooks. This is where my kids really got excited about choosing themes for the kids they were shopping for. We were blown away by the huge selection of folders and notebooks and pencil cases that were available in coordinating themes and colors. Alice went with a pink and green theme for one of her girls. She especially loved the big erasers and fun pencil pouches. Simon was really into camouflage and loved that he could make an entire theme with camouflage folders, notebooks and a backpack. 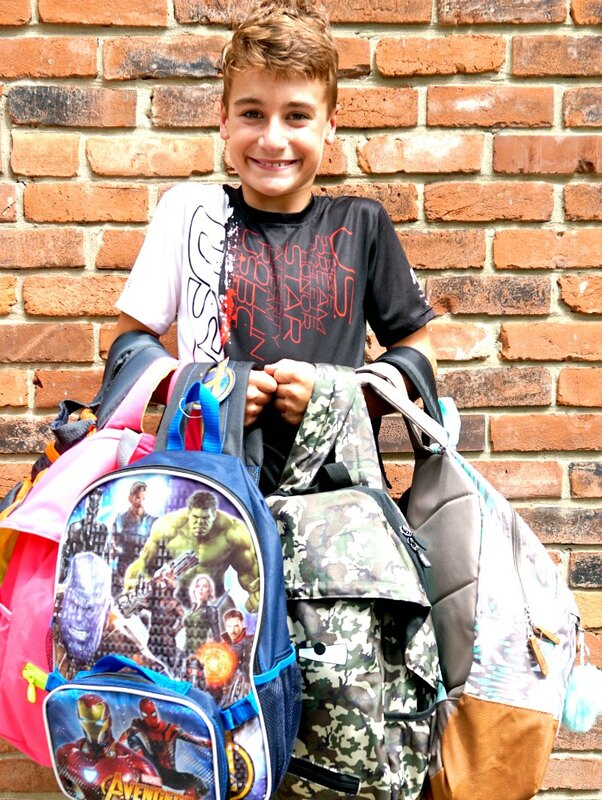 He was also super excited to find a backpack, folders and a notebook in the Avengers theme. He then found scissors and a ruler to coordinate. But then he found a few fun items (like these big erasers) to tuck into each backpack that made him a little more excited. After two fun hours of shopping and checking and double-checking our lists, we were ready to head for home. As we were sorting the supplies later in the day, the kids said that they hope we can do this every single year because buying back-to-school supplies for other kids was even more fun that buying supplies for themselves. 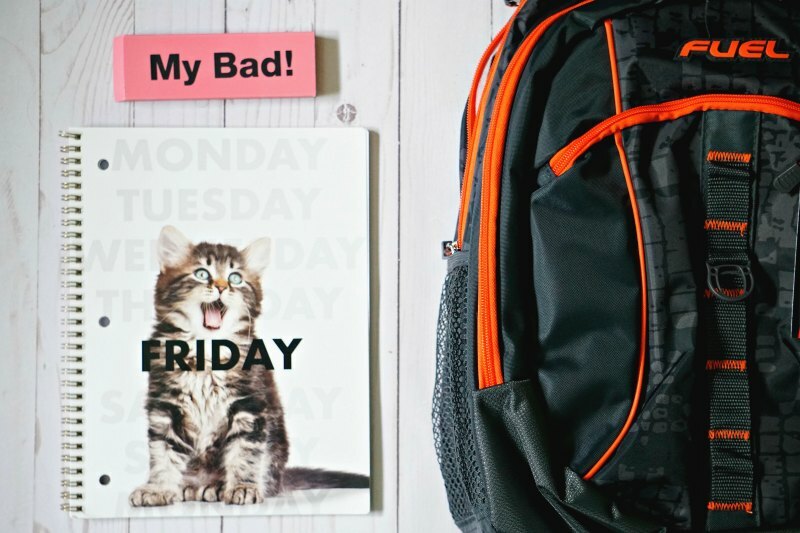 Whether you made the “mistake” of ordering school supplies like I did or you just want to help kids in need, here are a few ways that you can help kids as they head back to school. This will probably be the easiest part of the process. 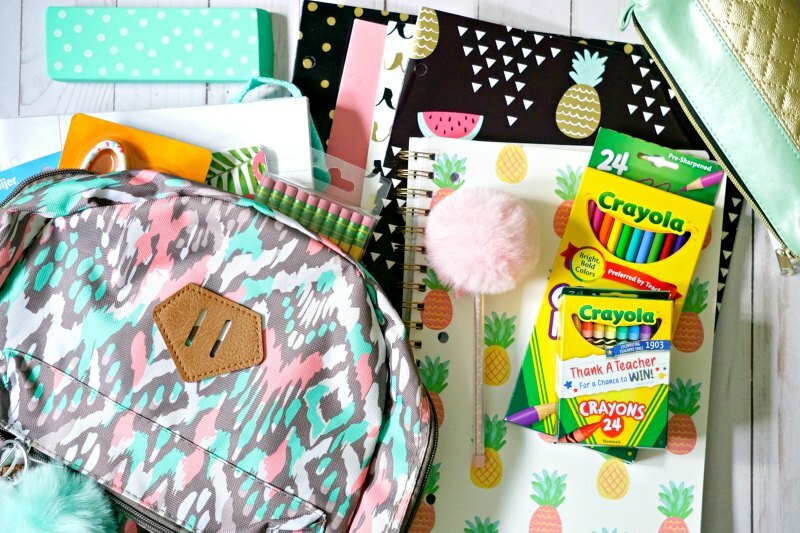 A simple online search will most likely turn up countless organizations that accept donations of school supplies. 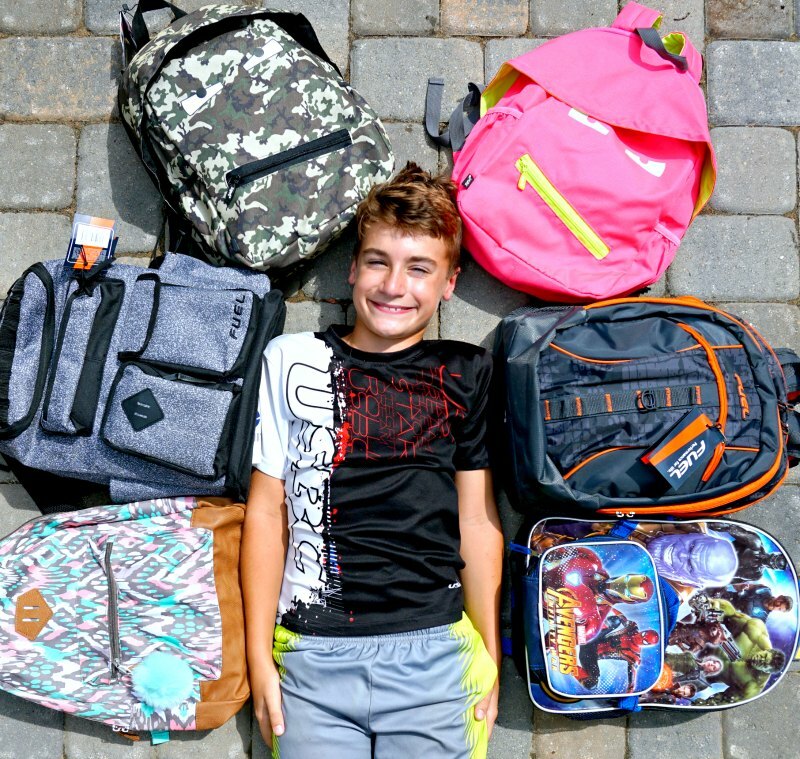 If you’re having a hard time finding an organization to support (or you’re feeling overwhelmed with options), contact your local school to see if they’re collecting supplies. Don’t forget that you can also donate supplies directly to teachers. 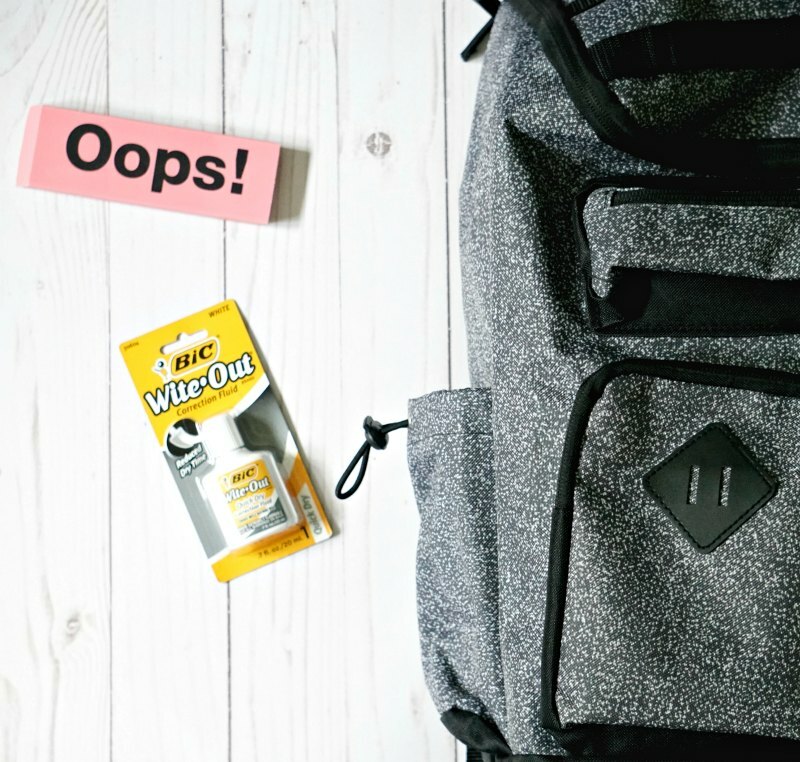 You might help a local teacher stock up her classroom or be able to donate things like tissues and disinfecting wipes for her to keep on hand throughout the school year. With the great savings we saw at Meijer, we were able to fill six backpacks with our allotted budget. 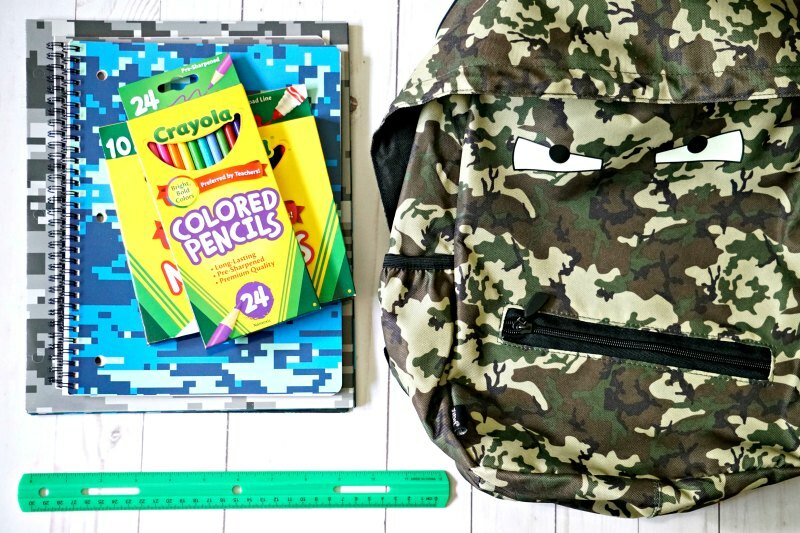 You can fill a backpack for one child or choose one supply to donate (like 10 boxes of pencils).